Don't miss this charming home in a convenient and established section of Canterberry! 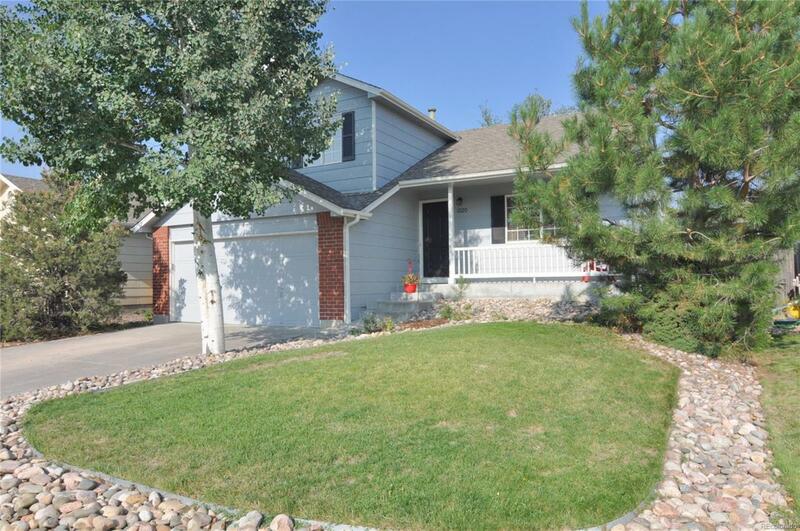 Walking distance to pool and trails and a short drive to Black Bear Golf Club and downtown Parker. Socialize on the front porch or enjoy the private and quiet back porch and yard with mature landscaping. Inside, the open floor plan can be arranged to meet your needs, including the finished basement/flex space. Master suite and two additional bedrooms with full hall bath are located upstairs. Newer appliances, roof, a/c, furnace, water heater, carpet and exterior paint. Schedule your showing today! Association Name Primary Canterberry Master/Cpms Inc.